Aliport Commercial were first contacted in December 2015 about this project. 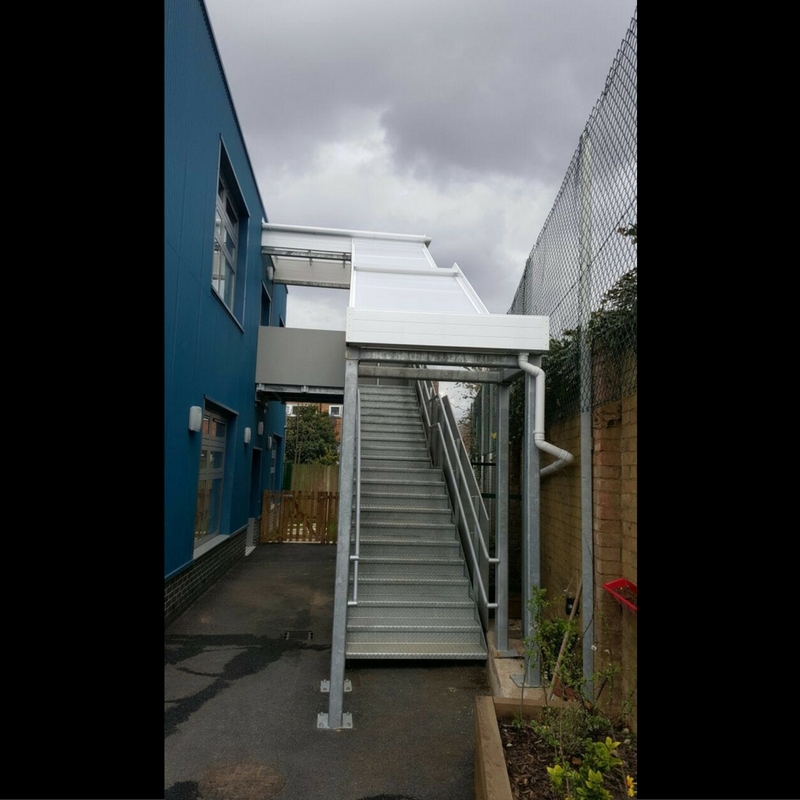 Curwen Primary had an existing cover over their fire escape but it was no longer fit for purpose so they required a new shelter for their fire escape in emergencies. 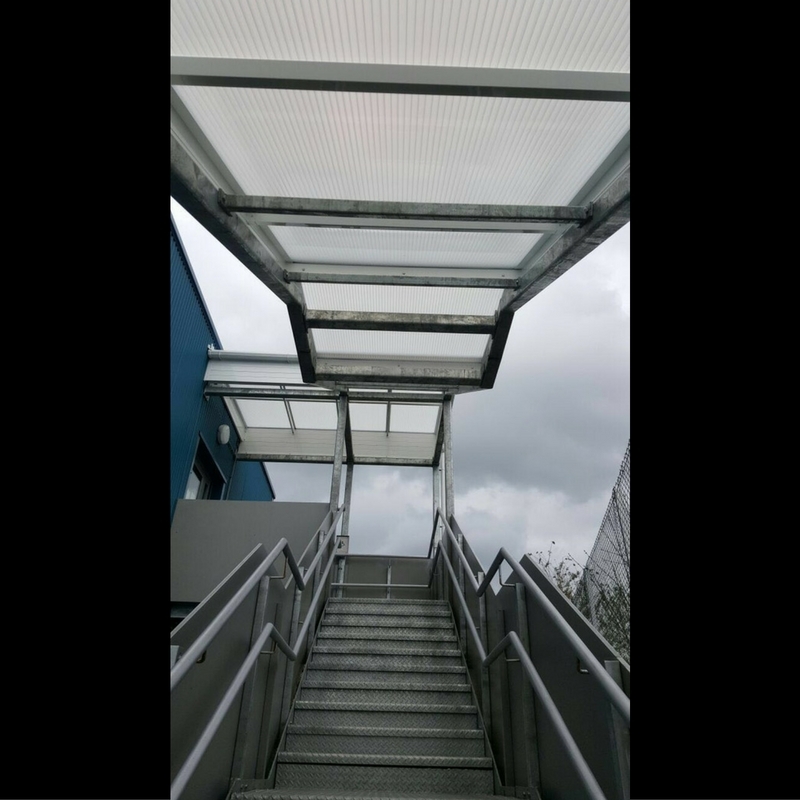 Aliport Commercial undertook three site visits to fully understand the project, measure up and produce the designs for the new canopy. 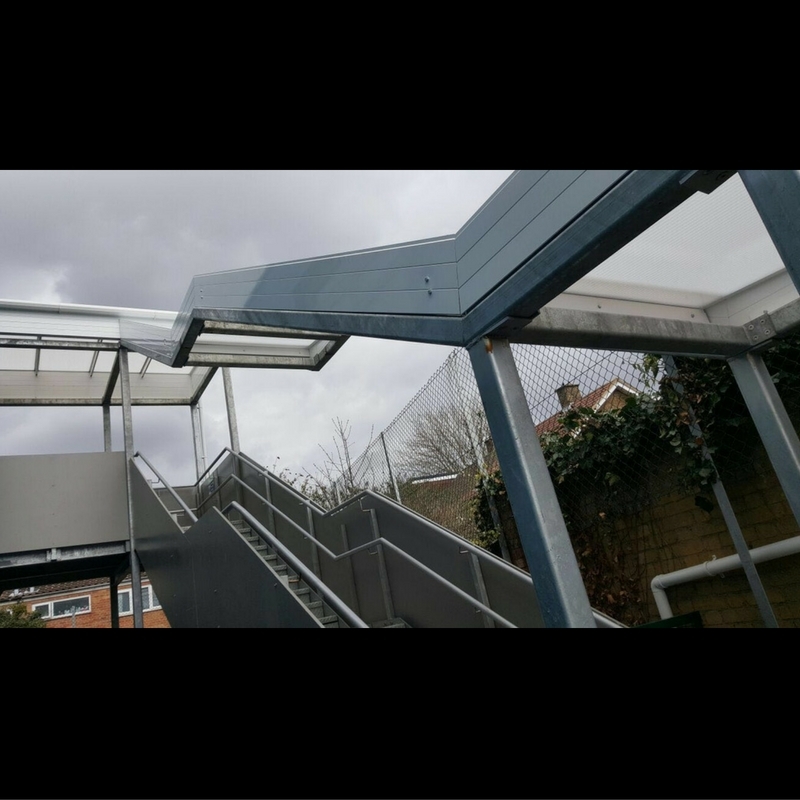 Due to the completely bespoke nature of the canopy the fit of the canopy was very important. 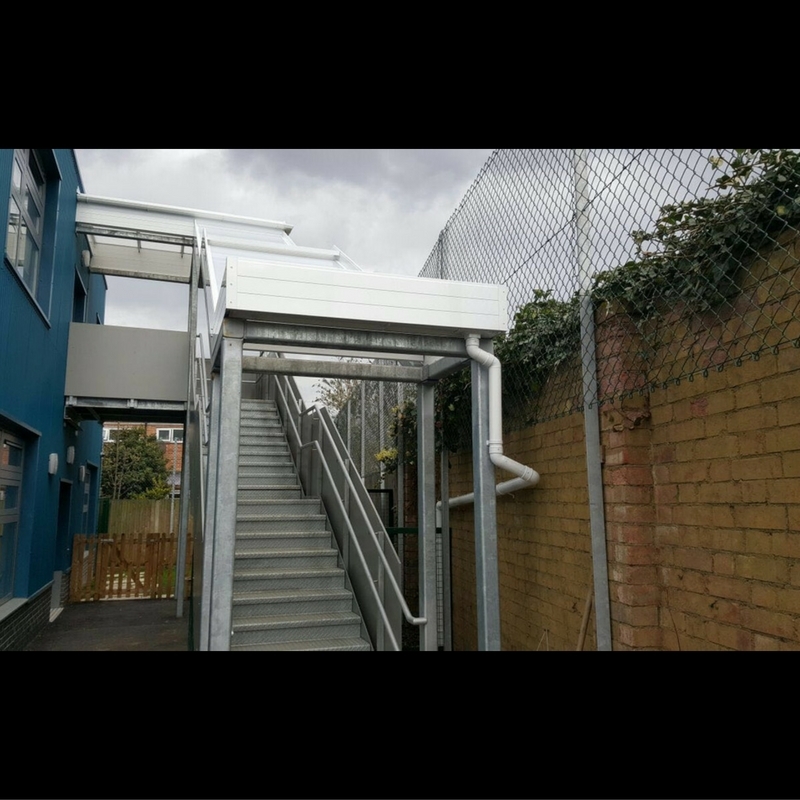 Due to the height of the installation the Aliport fitters worked off of Scaffolding for the duration of the project. 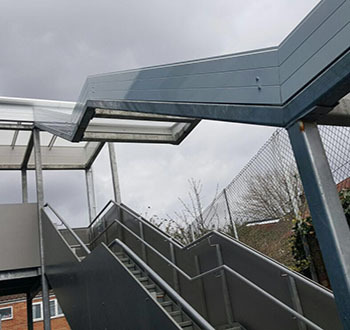 Bespoke Canopies can be designed, manufactured and installed to fit virtually any location. 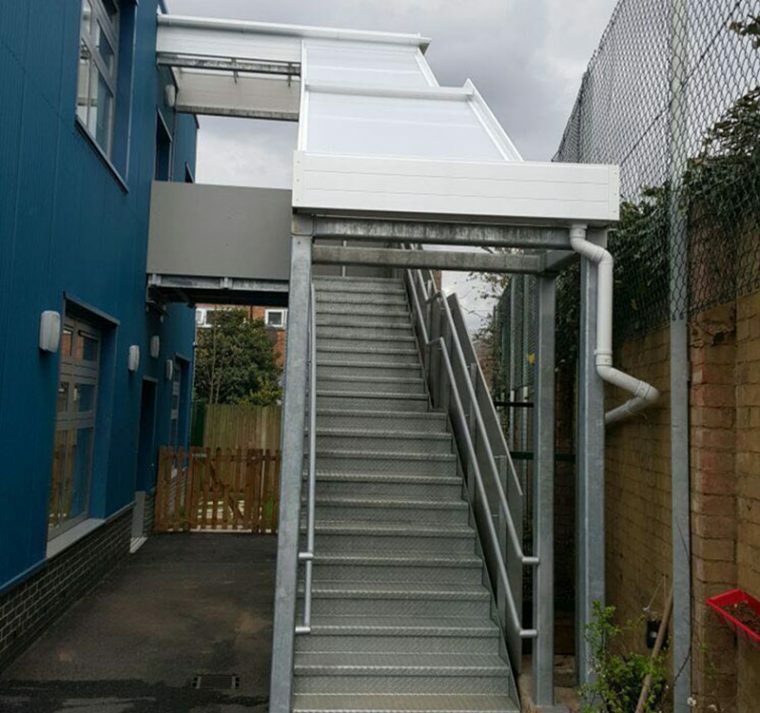 . .
Aliport Commercial were commissioned to produce a new shelter for the Fire Escape.